Andres completed a six month Fellowship in March 2013. He has an Industrial Engineering degree from the Pontificia Universidad Catolica de Chile – Santiago, Chile and has been working for Chilean company Woodtech Measurement Solutions since October of 2010 as a Software Engineer. During his Fellowship, Andres studied the various manual log scaling methods used in the PNW. His company makes digital log-scaling equipment and the knowledge gained from his research at WFI will help him better serve the needs of his current and future customers. Elikia completed a 6-month fellowship program studying sustainable community forestry management practices in 2009. He returned home to DR Congo with plans to implement forest policy change to combat illegal logging and to help establish and improve sustainable forestry management plans. 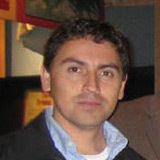 Mario worked as both a Fellow 2001 and as a Program Manager at WFI. In 2009 he founded Angel Business & Consulting LLC to provide consulting services for the forest product and renewable energy industries. Mario assists companies doing business in both Latin America and North America to make informed decisions based upon research, analysis and recommendations. He works on many projects related to lumber, plywood & veneer, OSB, MDF and particleboard production and sales as well as projects related to bio-energy and wood fiber supply & demand. He is a regular writer for Lignum, the most important magazine for the Chilean forest industry. 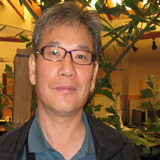 During his years at WFI he spoke at conferences in Brazil, Mexico, and the U.S.
Kwangho Baek was a Fellow for 18 months from Jan. 2011 to June 2012. He is an officer in the International Cooperation Division of the Korean Forest Service in Daejeon, Korea. While at WFI he studied biomass policies and incentive programs used in the U.S. and researched how Korea might further become involved in the biomass industry. Kwangho returned to Korea to resume his work with the Korean Forest Service. Luke has 16 years experience as an Environmental Advisor and Consultant for construction, energy and resources, oil and gas projects. 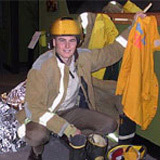 He is currently an environmental consultant at B2B Environmental Surveys based in Brisbane, Australia, where he conducts research and development of aerial imaging, environmental surveys and data-driven GIS innovations. Previously he was an environmental advisor at QGC, a senior environmental scientist at Unidel Group, and an environmental advisor at Powerlink Queensland. Dr. Sue Baker finished her one-year Fellowship in January 2011. Her project at WFI was a study of variable retention silviculture methods and practices in the greater Pacific Northwest. Sue was supported jointly by Forest and Wood Products Australia and the Gottstein Trust. 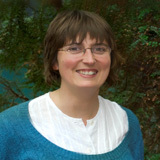 In 2012 she awarded a Fulbright Post-doctoral scholarship to continue conducting research in variable retention forestry with Washington Department of Natural Resources. Sue is currently a Research Fellow at University of Tasmania, looking at the impacts of forest management practices on ground-active beetles. 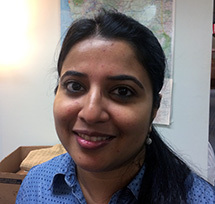 Shreejita followed up her time at WFI with a six-month fellowship at Sustainable Northwest, on the Northwest Community Forest Coalition (NWCFC) project. NWCFC focuses on supporting the emergence, development and management of community forests in Pacific Northwest. As a community forest fellow, Shreejita will be working on protection of water quality in the drinking water watersheds along the Oregon coast. After spending a couple of years traveling around the world selling wood products, Alex recently spent 12 months working in the forest (logging, selling and buying timber). Alex is currently the Operation Director for Battistella Ind. e Com. Ltda in Rio Negrhinho, Brazil. 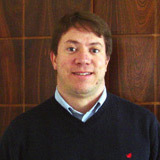 During his Fellowship in 1994-1995, Alexandre authored the “Brazil Country Report” and participated in a Weyerhaeuser training program. 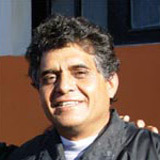 Marco Bernal completed a one-year fellowship in 2000-2001 involving the Monarch butterfly reserves in Mexico. He is still consulting in Mexico on projects involving the Monarchs. 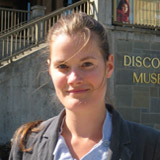 Kati spent her six-month fellowship at WFI in 2009 researching the discourse that led to the adoption and implementation of the Northwest Forest Plan. The focus of her study was on the course of scientific debate amongst policy advisors, biological scientists, and communities impacted by the plan. She also looked at external factors influencing the creation of this management plan such as funding, political requirements, and public expectations and how all these affected the scientific discourse.